Happy Friday! I’m wrapping up my last full week at my current job, working through my huge list of current reads, plotting my triumphant return to YouTube, and preparing to go on holiday. In short, I am so busy and so sleepy. It has certainly been an interesting week for reading, so let’s dive in! I read three books this week! To be fair, I was well into both Notes on a Nervous Planet and Azkaban before the week started. I ended up really loving all three of these books. I have a review planned for Notes on its release date, 5 July, so keep an eye out for that! My Harry Potter reread is chugging along, and this was possibly one of the most unexpected results for me. Azkaban was my absolute favourite as a kid — I can’t actually open my childhood copy for fear it will fall apart — but I didn’t love it as an adult. I really struggled with the first half! I think that’s due in part to the fact that this is when the trio starts to get a bit whiny. But there’s also a lot of amazing stuff — this is the book where I feel she really hits her stride and we get some of the most memorable moments and characters from the whole series. Last of all, I read the graphic novel My Friend Dahmer. You may have spotted a movie by the same name come out recently! I’m a true crime fanatic, but have never really gotten into true crime books — I get my fix from podcasts. Jeffrey Dahmer is probably the serial killer that sticks with me the most due to the nature of his crimes (google at your own risk) and his backstory. This book was written by one of his friends from high school, if you can call him that. It gives us an insight into what Dahmer was like when he was younger, what his experiences were like, and how people reacted to him. Despite this, it doesn’t sympathise with him, nor does it turn him into a tragic character. I’d highly recommend this if you’re looking for a nonfiction graphic novel or are interested in true crime. There are some content warnings with this book, which I plan to put into an upcoming review. I DNFed one book this week and I’m really disappointed. I absolutely loved Amanda Foody’s debut novel, Daughter of the Burning City, and was so looking forward to Ace of Shades. Terrible title aside, there wasn’t much for me to love about this book. I ended up getting 187 pages in before DNFing, which is more than generous. I won’t write a review for this (because that doesn’t quite seem fair), but I can explain a little about why I DNFed Ace of Shades here. My first issue with this book is the fact that I just didn’t find the plot intriguing. Girl’s mum goes missing, she has to abandon her proper upbringing to find her in the City of Sin — but why should I care? I really wanted to be pulled in, to care about what was happening, but I just didn’t. I also found the characters to be completely flat, despite having decent back stories. Enne and Levi, as our POV characters, really should have been interesting and compelling, but they just weren’t. Finally, the text itself seemed like it needed one more quick look from an editor — there were some bits that were very unclear and needed smoothing out. I will say that Amanda Foody writes a great magic system. I really loved the idea of blood talents and split talents. Otherwise, I didn’t find anything to like about this book. I obviously wont continue on with this series, but I’ll keep an eye out for her next high fantasy, which I think is her strength. Right, so I’ve cleared out a bunch of my current reads from last week. My main read at the moment is Shattermoon, which I’m really enjoying. I don’t think it’s anything particularly deep, but it’s so much fun! It has some shades of Firefly to it with its setting and worldbuilding, which I always appreciate. I’m participating in the blog tour for this one, so keep an eye out for my review on the 27th! I’m pleased to say that I’m finally back to reading Spinning Silver! As some of you may know, the NetGalley file had issues and wouldn’t download to anyone’s Kindle. I spent weeks trying to read this on my laptop, but I just couldn’t. I ended up downloading Adobe Digital Editions to my phone and iPad, which allows me to read the NetGalley PDF. Spinning Silver is glorious so far and so worth the wait! Last of all, I should be reading The Hazel Wood, which I’m loving, but Scottish Fiance is borrowing my Kindle at the moment. Boo. Honestly, I can’t even begin to post covers here. Too many! Friday the 8th was my birthday and, uhhh, it was quite a bookish one. Between the Tolkien exhibit at the Weston Library here in Oxford, gifts, and giftcards, I’ve added a lot of books to my collection this week. I somehow still have money on said giftcards (how??) so there will be more books to come. If I was rational, I’d save them for YALC, but nah. Everything that’s listed as ‘in transit’ was ordered online and I don’t have my paws on yet. I think I’m most excited to read Reign of the Fallen, Empire of Black and Gold, The Seven Husbands of Evelyn Hugo, and the Seanan McGuire novellas. I have so much great reading ahead of me! This has easily been one of the best weeks for book post…ever. I’ve already mentioned Shattermoon, which came in a marvelous, sparkly package (like all the best things do). On Thursday, I came home to find the second two books waiting for me and I shrieked. The Light Between us is the second novel from Katie Khan. Her debut novel, Hold Back the Stars, is one you’re probably all sick of me talking about, but I don’t care. It was one of my favourite books of 2017 and I am so hyped for her next novel! I am also beyond thrilled for The Mermaid by Christine Henry. I really loved Lost Boy, which I read last year — she writes the most amazing retellings! I’m really loving all the mermaid books that are coming out this year, and I’m betting this will be a great addition to the mermaid love. As a side note, I hope this book gives a more realistic portrayal of P. T. Barnum, who was a horrible little man, than The Greatest Showman did (although, to be fair, I refuse to see it). So I rarely go for contemporary books, but I heard Melinda Salisbury talk about this at an event back in May and I’m really curious about it. I adore her, as an author and a human, and while I haven’t read the other authors, I really like all of them. I’m very curious about how a collaborative novel will work! That’s it for this week! I’ll be away on holiday starting next Saturday, so posts will be a little sparse. I’m hoping for a bit of Notes on a Nervous Planet-inspired social media detox while I’m away! How was your week in reading? Did you read anything good? Pick up any new books? Let me know! I’m sorry you didn’t enjoy Ace of Shades, as I thought it was sooo good! I actually found the plot to be even better than Daughter of the Burning City. 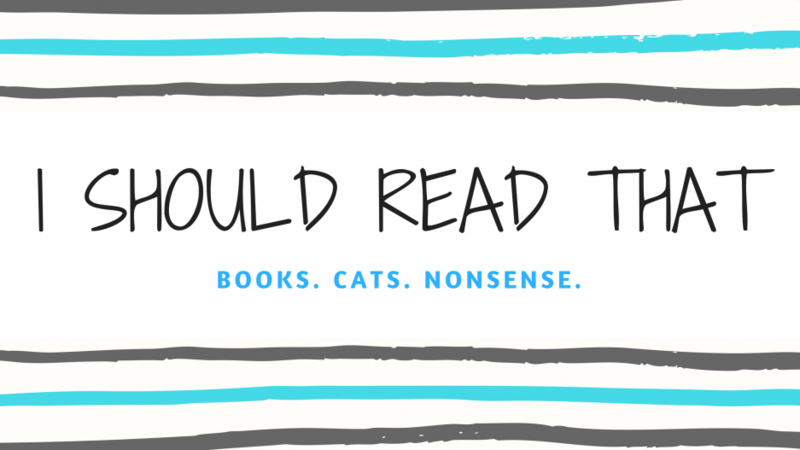 It’s crazy how readers can get so many different takes on books and I love that! I really hope you enjoy Spinning Silver! I have an ARC of it but am trying to put off picking it up until closer to its release date. I’m glad you got spoiled for your birthday 🙂 I’m interested to see what you think of Spinning Silver; I hear people get excited but haven’t read it yet. I also don’t blame you for DNF’ing Ace of Shades. You didn’t miss much. I hope you like The Hazel Wood by Melissa Albert, I read it and really enjoyed it. This week I finished three books; A Little Princess, Lying in Wait, and In the Days of Rain. Lying in Wait was my favorite. Oh wow, I wouldn’t have guessed from the My Friend Dahmer cover that it’s a nonfiction story about a serial killer. I didn’t know true crime graphic novels even existed! You’ve made me rather curious so I might have to check it out!